So many times I have really awesome plans for the day. Then, other times, learning experiences just happen without a moment's notice. Today was just that kind of day! 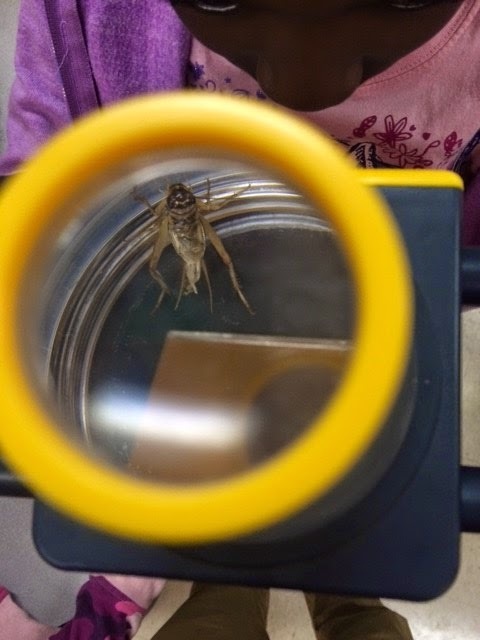 We were in the middle of testing, and a cricket started chirping in our Bearded Dragon cage. We tried to ignore it, but in the silence of testing, it seemed to be screaming to the top of his cricket lungs! I fed Spike crickets on Friday, but apparently he missed a few. 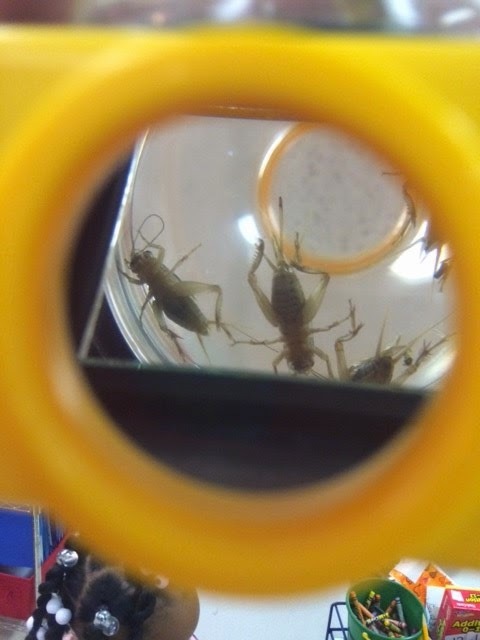 I began to look around in the cage and very quickly found the 4 bravest crickets who had survived for 5 days longer than their friends. While I was proud of their survival skills, I found it necessary to remove them from the cage to quiet down the room. The only place I had to put them was my "critter observatory". 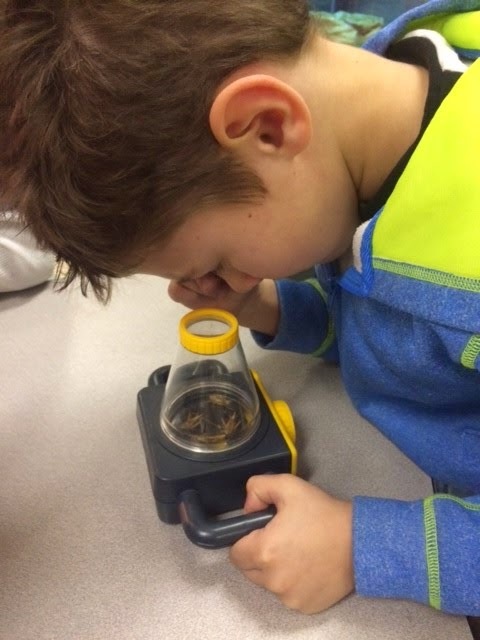 After the testing was finished, the room was filled with excitement as the kids had a chance to explore the tiny world of crickets using the observatory (AKA a magnifying class on top of a plastic box. 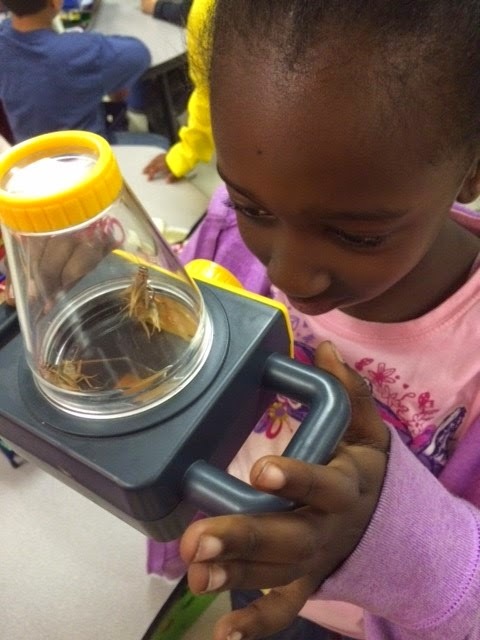 We had impromptu lessons on the characteristics of insects, the food chain, and a review of camouflage and survival. 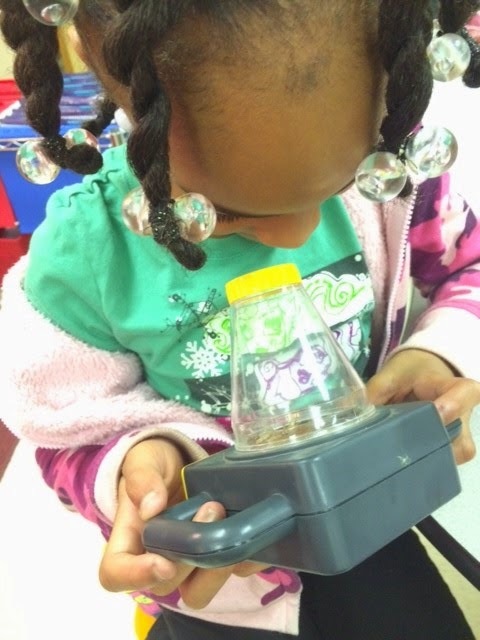 Check out some great pics and video of the experience my students had today!